Very Rev. David B. Hodges serves as president of the Foundation and chief development officer of Saint Francis Community Services. Prior to joining Saint Francis, he served as vice president for external affairs at the Holy Family Cristo Rey Catholic High School. 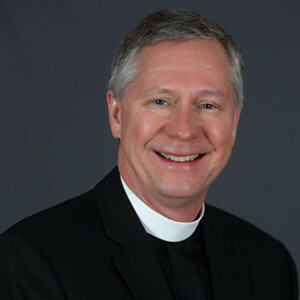 Previously he served as rector of St. Paul’s Episcopal Church in Winston-Salem, NC and the Episcopal Church of the Holy Comforter in Charlotte, NC. Fr. Hodges earned a master of divinity from the Episcopal Theological Seminary of the Southwest, a master of science degree in criminal justice from the University of Alabama, and a bachelor of science in public administration from Samford University.